I live about two miles north of the American River. 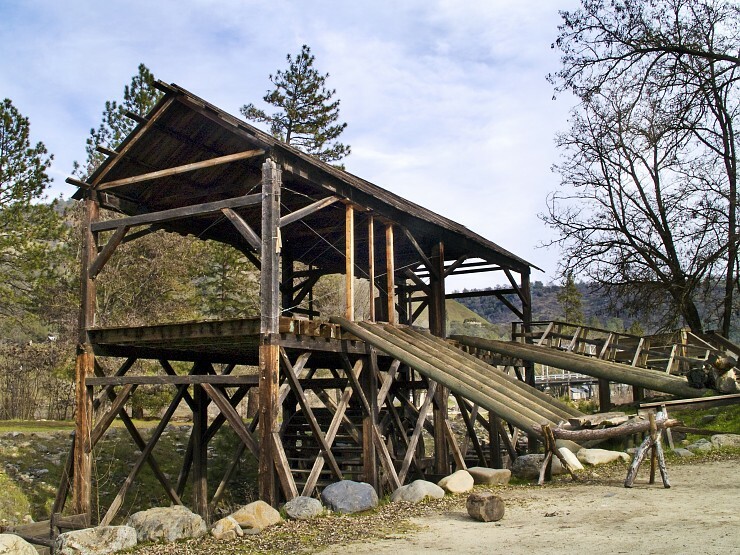 In 1848, “Captain” John Sutter, who owned this part of the territory, hired John Marshall to build a sawmill on the American not too far upstream, in the town of Coloma. On the morning of January 24, Marshall spotted some flecks of yellow metal in the mill race. He knew gold when he saw it. Marshall tried to keep his discovery a secret, and we all know how that worked out. This bit of local history came to mind when I spotted an article in Forbes called, “Who Wants to be a Kindle Millionaire?” http://blogs.forbes.com/kiriblakeley/2011/03/06/who-wants-to-be-a-kindle-millionaire/? There used to be a time, not too long ago, when traditional publishing had many benefits…Publishers…used to do all kinds of nifty things for their authors, like throw them a cool book party, send them on a book tour, get their books reviewed in the press and give manuscripts loving yet eagle-eyed editing. Now, chances are an author doesn’t get any of those things—unless she’s on a reality TV show. … going with a traditional publisher can be extremely expensive. Authors are generally expected to pick up costs for their book’s website, a book’s outside publicist, marketing materials like postcards, and any costs associated with readings or tours. All of this can run into the tens of thousands of dollars. Trust me, I know. This post is also worth reading because Blakeley’s interview with Amanda Hocking shows the young author to be very savvy about the uniqueness of her success, and dismissive of all the talk about the death knell of traditional publishing. I find myself humming the naughty verse to “Oh Susannah,” and trying to make up more. This entry was posted in Authors, Economics, Publishing and tagged authors, ebooks, economics, publishing. Bookmark the permalink. I’ve got a sluice and my daughter will drive the chuck wagon. Writers, Westward Ho!